'Wild Man of Comedy' Craig Campbell's laid-back manner and genuine warmth belie the outrageous nature of his material. Still, his stoner philosophy and risqué subjects have won him devoted fans worldwide. “Loud, beautifully crafted tales of outsider adventure” (The Independent) "A fantastic yarn weaver" (Time Out). 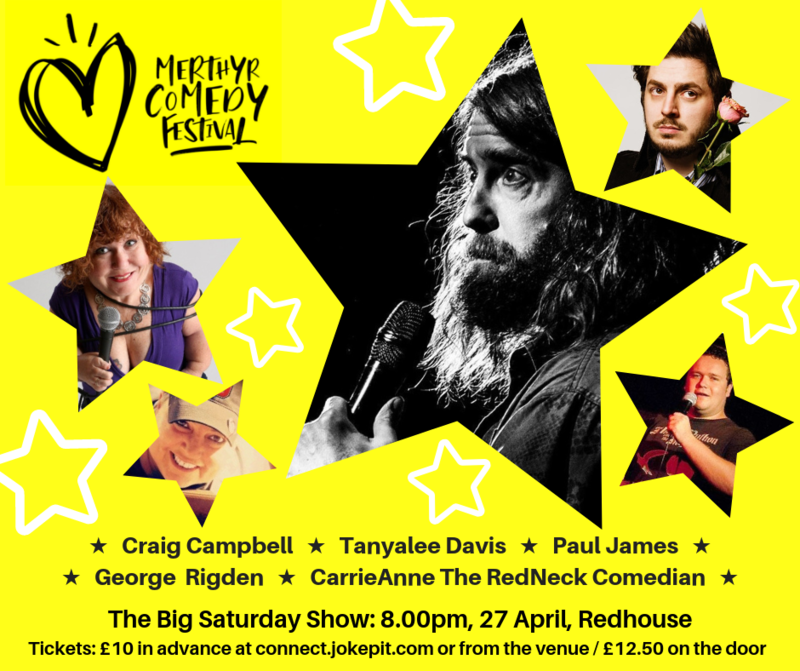 George Rigden, Carrieanne The Redneck Comedian and "comedic demi-god" Paul James complete a stunning line-up.